Is It Time to Break Up with Busy? Are You Heading for a Busy Retirement? Do you remember your answers? A favorite of mine was “An astronaut”. (My wife tells me being a space cadet is close enough). Odds are that your answer was not “I want to be really busy when I grow up.” Yet many of us have managed to accomplish just that. Going from the busyness of the workplace to retirement comes with the gift of freedom. But it’s a transition that has to be managed well. Many people are surprised by how quickly their time becomes filled with a mix of activities – and new commitments. 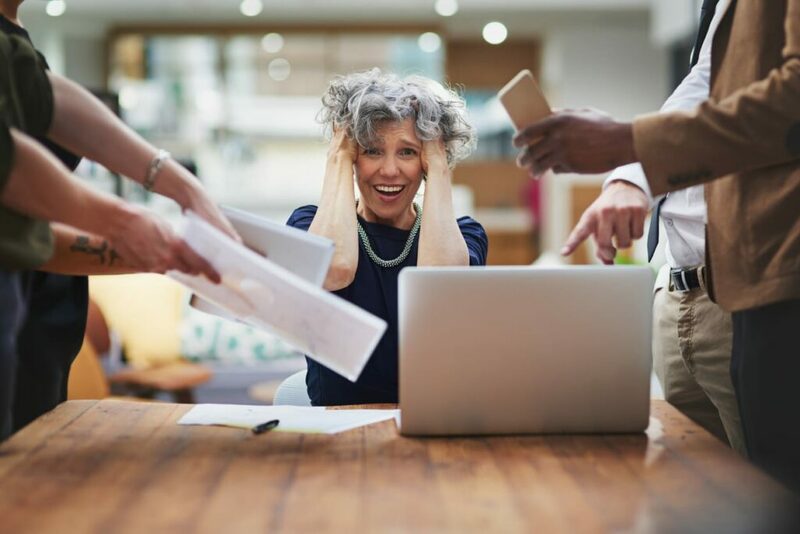 There’s value in a cultivating an active retirement, but there’s a difference between one that’s busy and one that’s meaningful. It turns out that too much of a good thing can be a problem. Activity, if it’s not done thoughtfully, can be one of those things. Being busy can keep us from confronting big questions we’d rather not address, such as what is my identity now since I’ve left the world of work? Two of our podcast guests come at this issue from different perspectives – but offer similar recommendations. Yvonne Tally is the author of Breaking Up with Busy. I came across Yvonne reading an interview she did with The Street.com’s Retirement Daily. While her book is focused on the issues working women face, in my view, many of her principles apply to men as well. She highlights the double-edged sword of technology in our lives today. It helps us to be more efficient, but it can be a constant distraction. And there are reports that it’s changing our brains – and not for the better. A recent New York Times article noted how parents working in Silicon Valley are limiting their kids access to devices and screen time because of the growing awareness of the downsides. A takeaway from their writing and our conversations are that there is wisdom is going against the crowd. It’s one of the things I admire about the FIRE movement. Don’t get caught up in what everyone else is doing. Step back and think about what’s most important to you and pursue life on your own terms. Be Intentional About Your Pace – What’s the ideal pace of your life in retirement? Are you ready to slow down – or are you most fulfilled with an active life? Be willing to experiment to find what’s right for y0u. Audit How You’re Spending Your Time – It’s always helpful to have some data. Pick a representative two to four week period and track how you’re actually spending your time. The results are usually eye-opening and give you clues on changes you may want to make. Pay particular attention to the time spent on TV and Social Media. Might it be beneficial to shift some of that time to other activities – reading, exercise, learning or social events? (Ok, after you finish Season 6 of House of Cards). Dorie Clark’s HBR article has helpful tips. Declutter – Not Just Your Space but What Clutters Up Your Time – Closets and calendars can become filled with things we no longer need. What’s taking up your time that no longer fits with your priorities? Invest in Mindfulness Practices – Learning to work into our day simple mindfulness practices can help us step back, become more centered and more intentional about our choices. They don’t need to be elaborate or require tons of time. Try meditation and gratitude practices and start small. Breaking Up with Busy has practical suggestions. Fortify Your Skill Set – A key skill in keeping yourself balanced and at the pace you prefer is learning the art of saying No. Yvonne Tally’s book has excellent recommendations on how to say No effectively and protect your time for what’s most important to you. In my corporate HR career, I was stunned once in meeting a new internal client I was to cover. He was a senior executive responsible for six subsidiary companies – he had a lot of responsibility. Right away he explained that he made a point not to be busy. Unlike his peers, he strictly limited the number of meetings on his calendar to free him up to concentrate on strategy and leadership, his highest value activities. I always thought he was rare in that regard and it gave him a different pace and a clear edge. In retirement, we can do the same. We can create the space for our most meaningful activities by learning to say No to busyness. You can listen to our conversation with Yvonne Tally here. You can listen to our interview with David Ekerdt here.